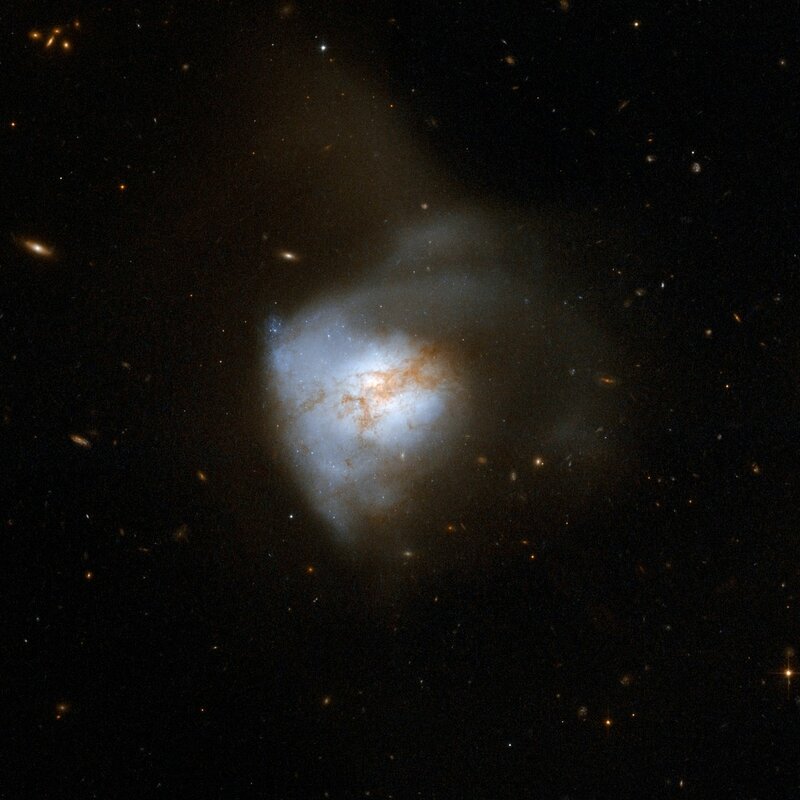 Our own Milky Way contains the debris of the many smaller galaxies it has encountered and devoured in the past, and it is currently absorbing the Sagittarius dwarf elliptical galaxy. 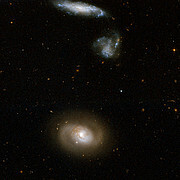 In turn, it looks as if our Milky Way will be subsumed into its giant neighbour, the Andromeda galaxy, resulting in an elliptical galaxy, dubbed "Milkomeda", the new home for the Earth, the Sun and the rest of the Solar System in about two billion years time. 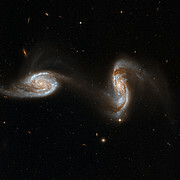 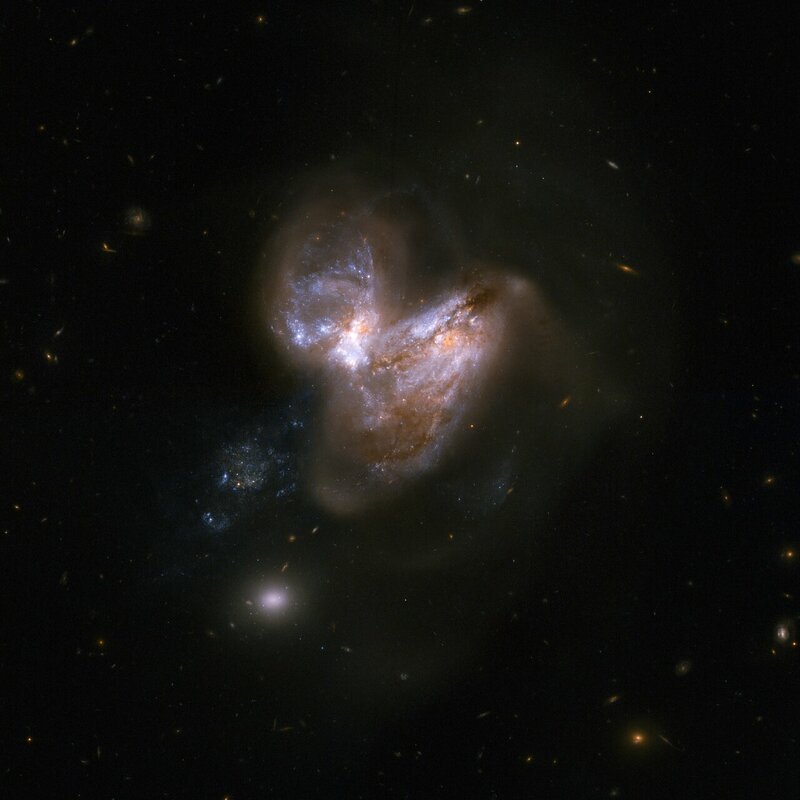 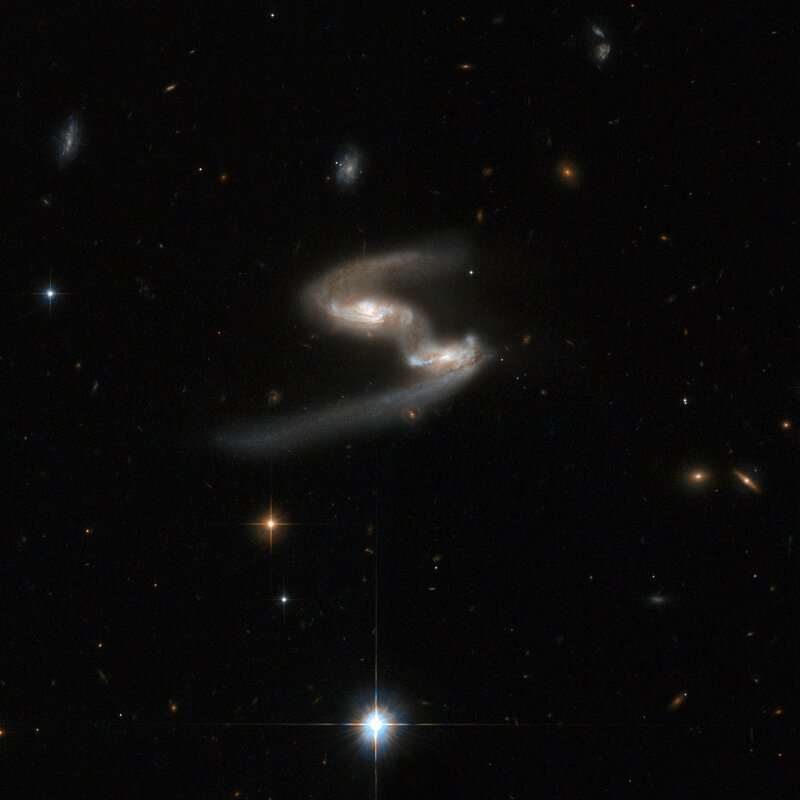 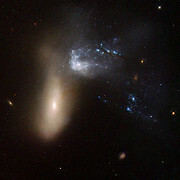 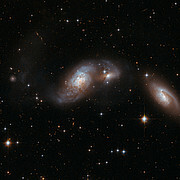 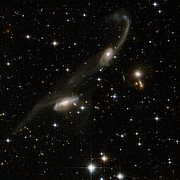 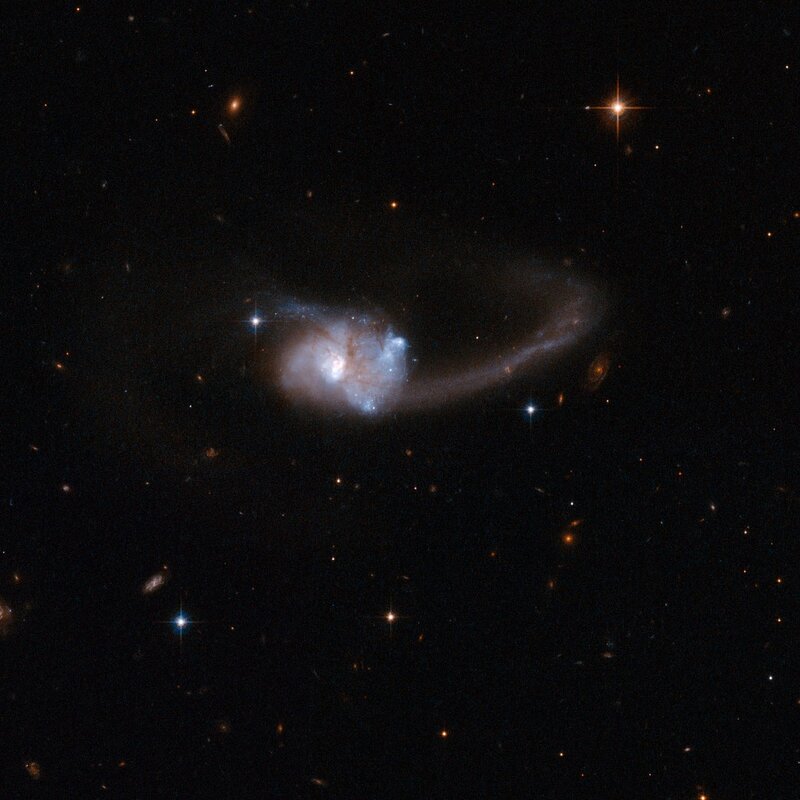 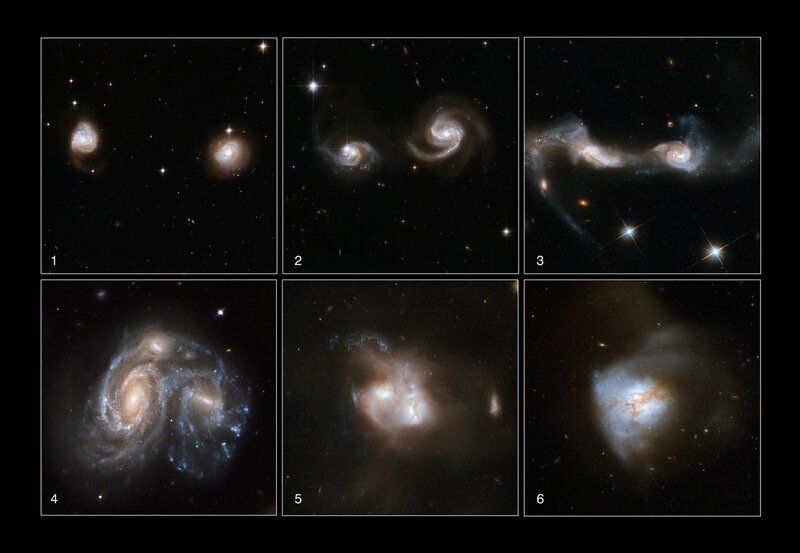 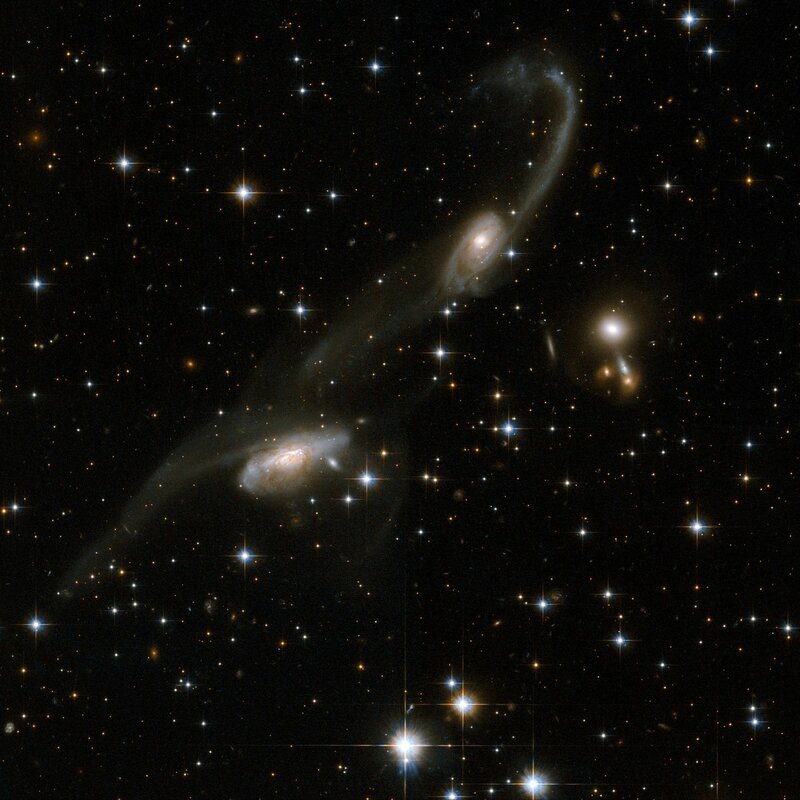 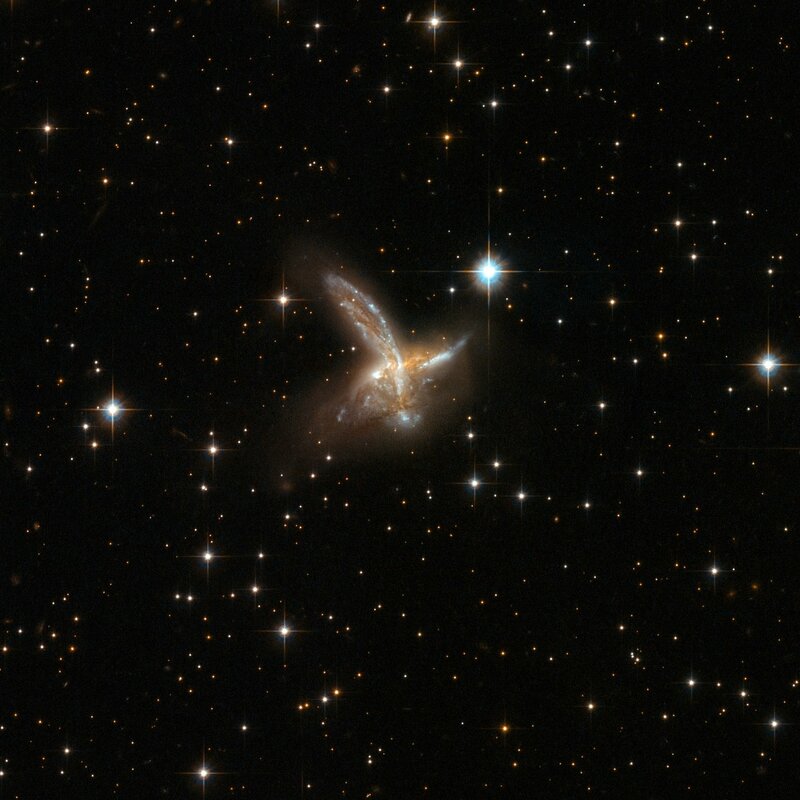 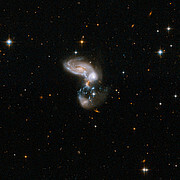 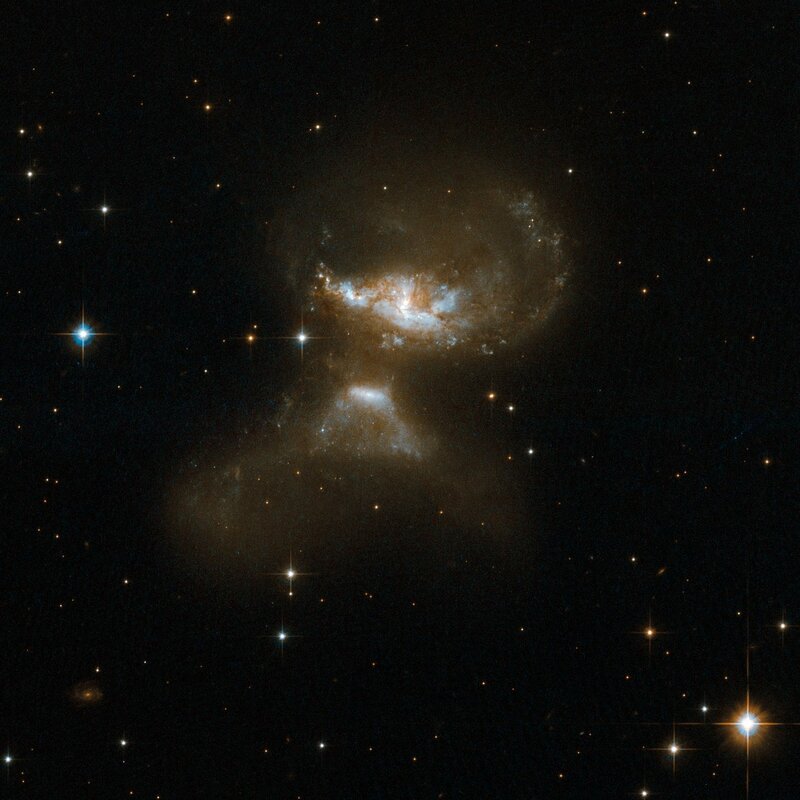 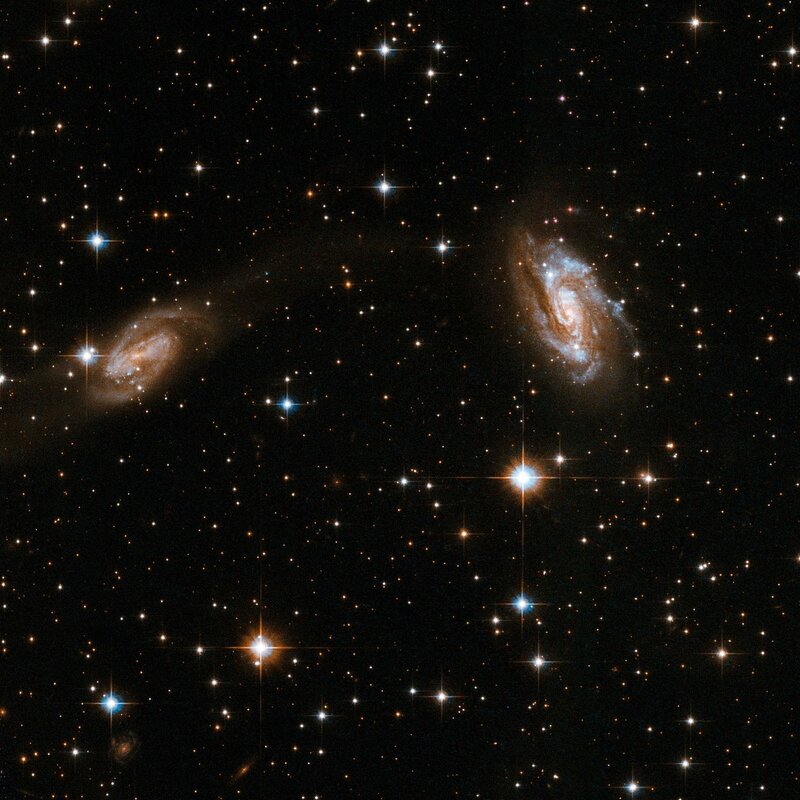 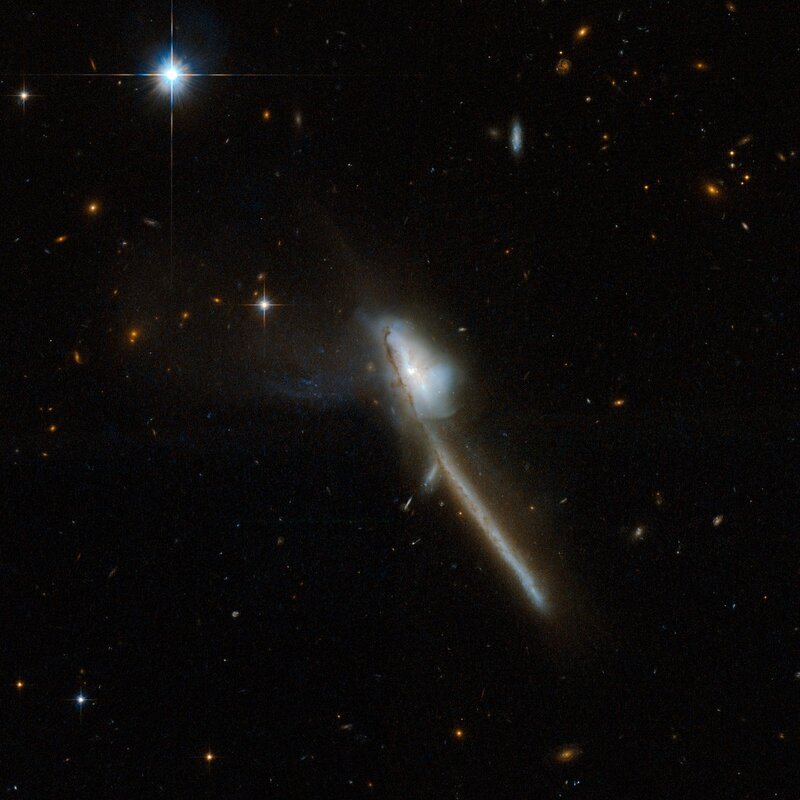 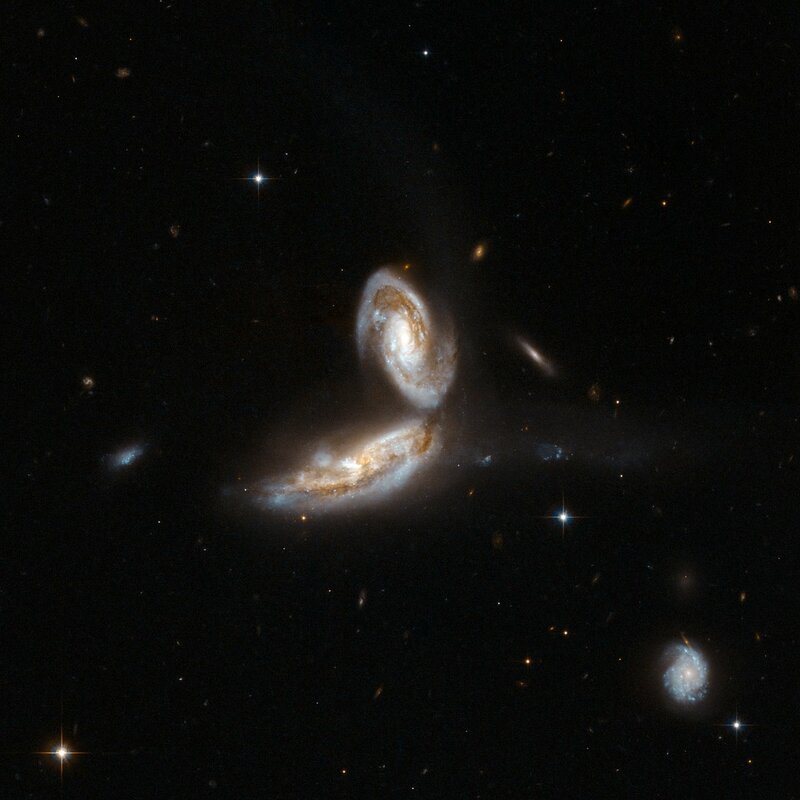 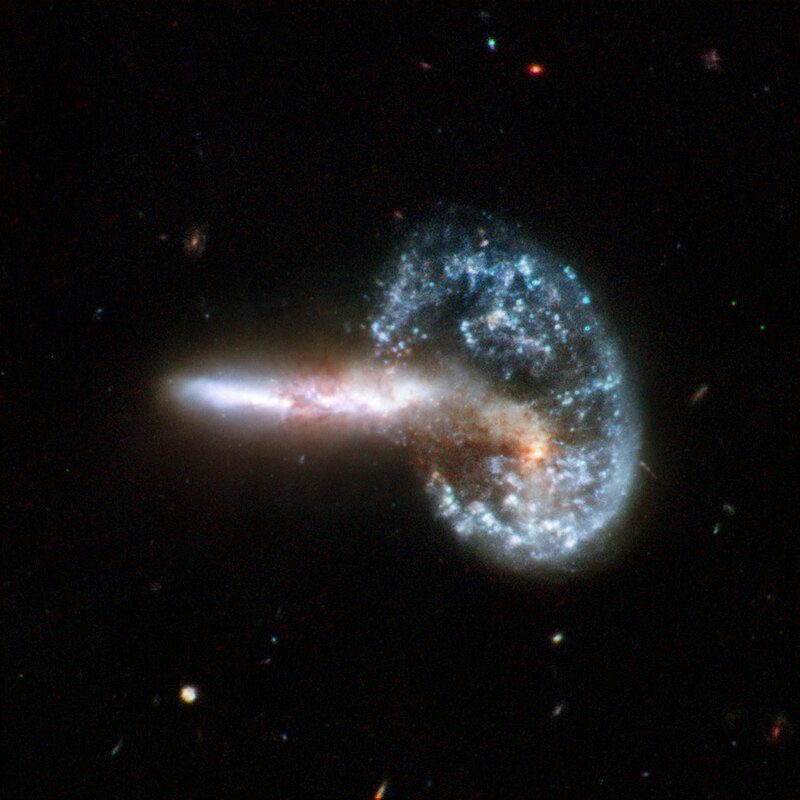 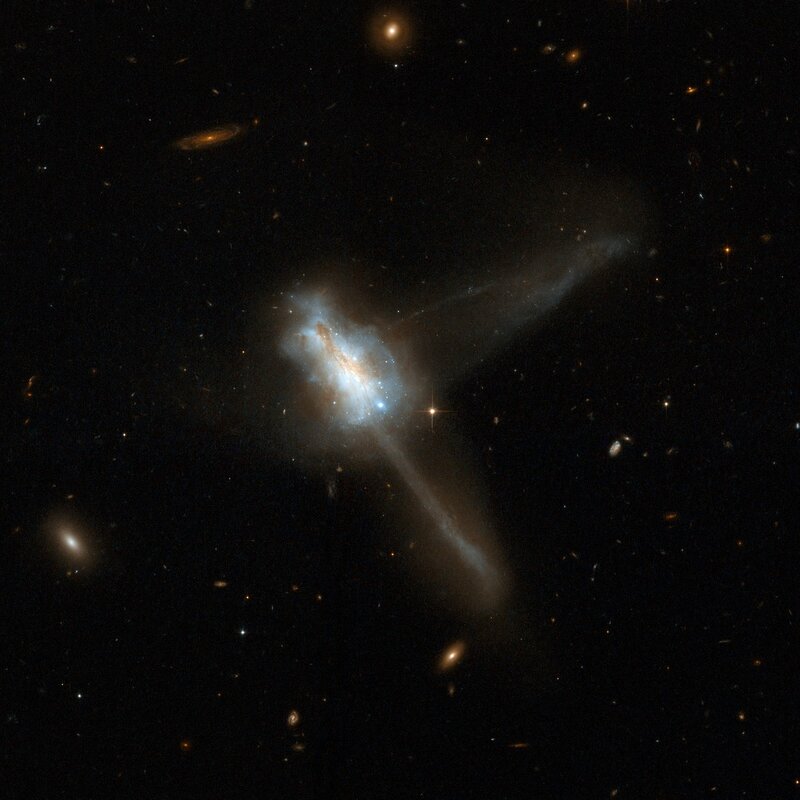 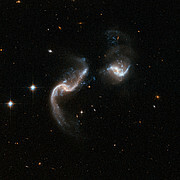 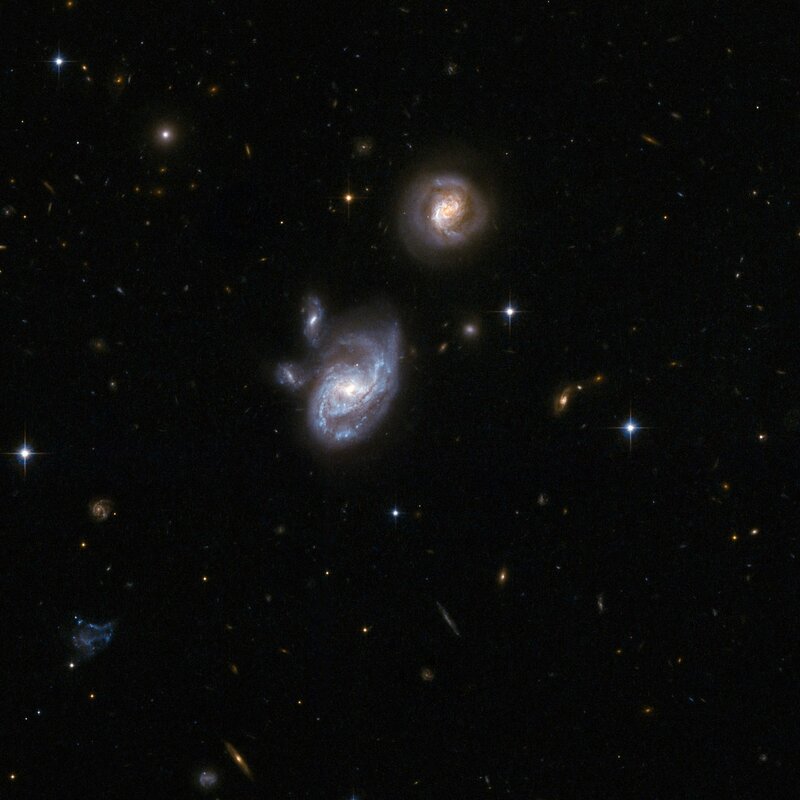 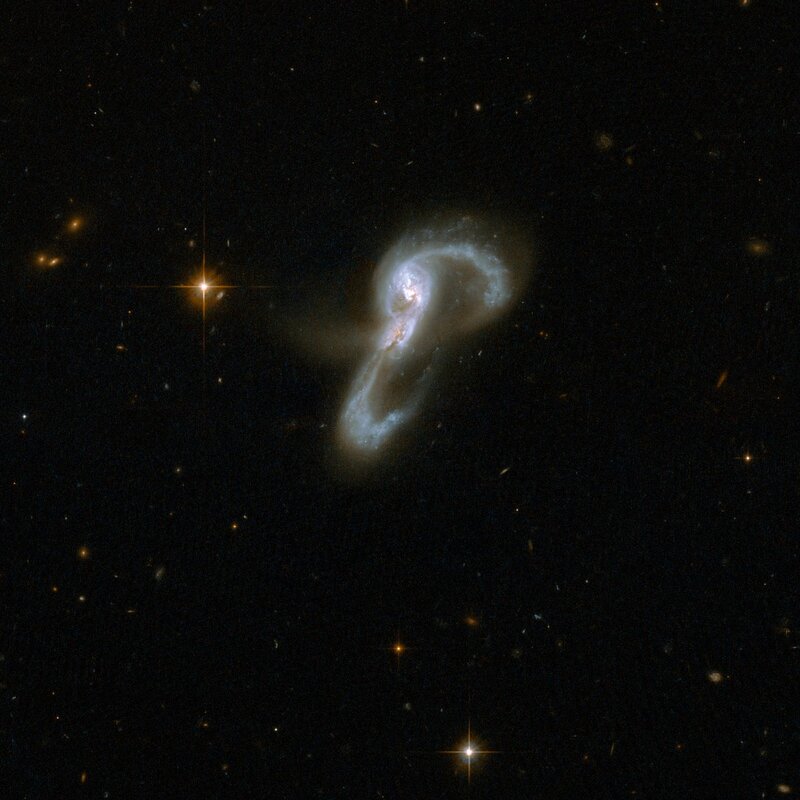 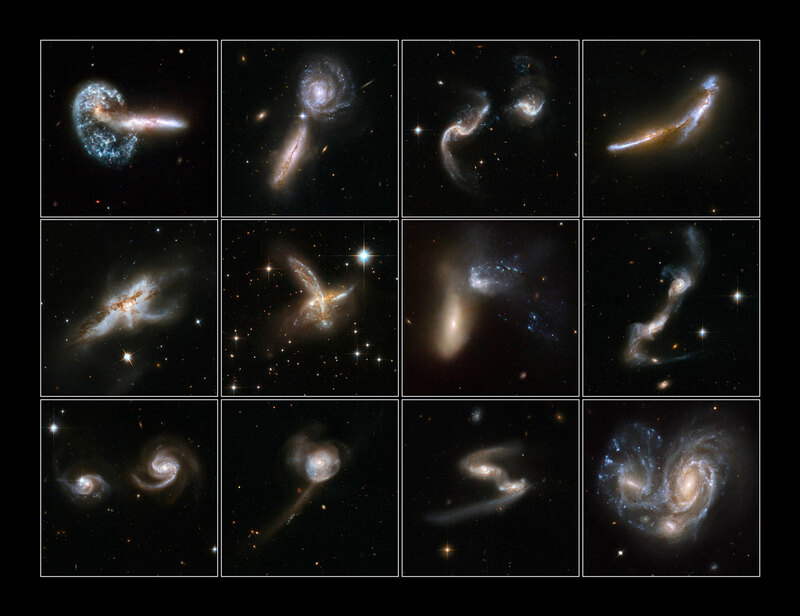 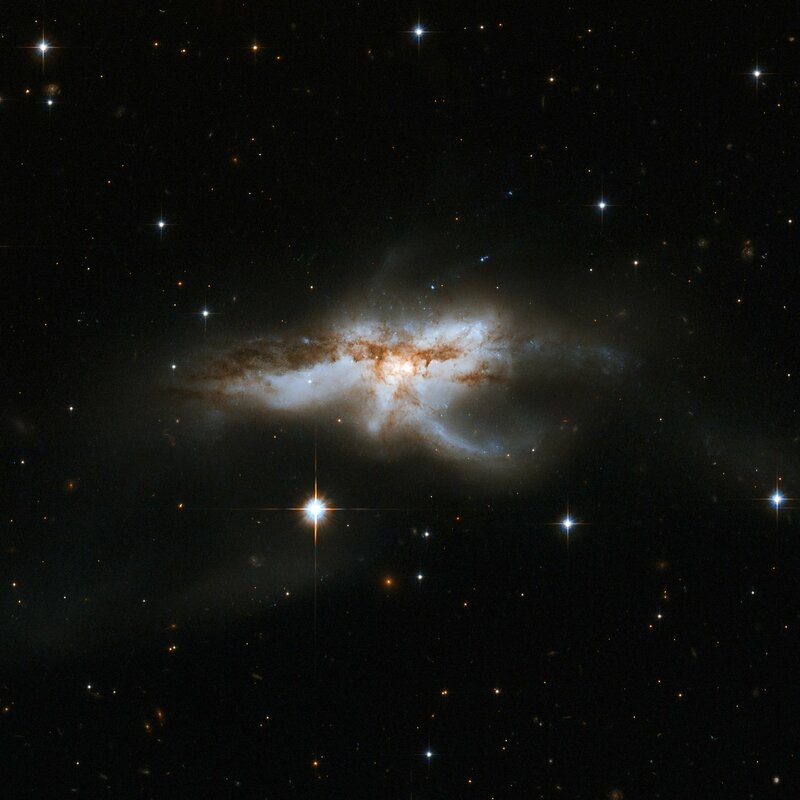 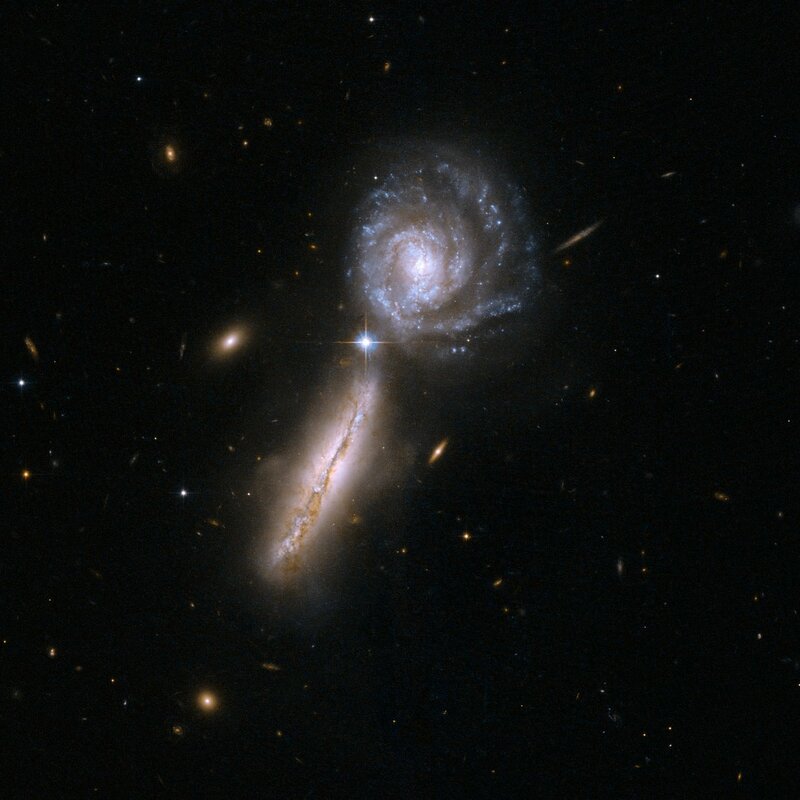 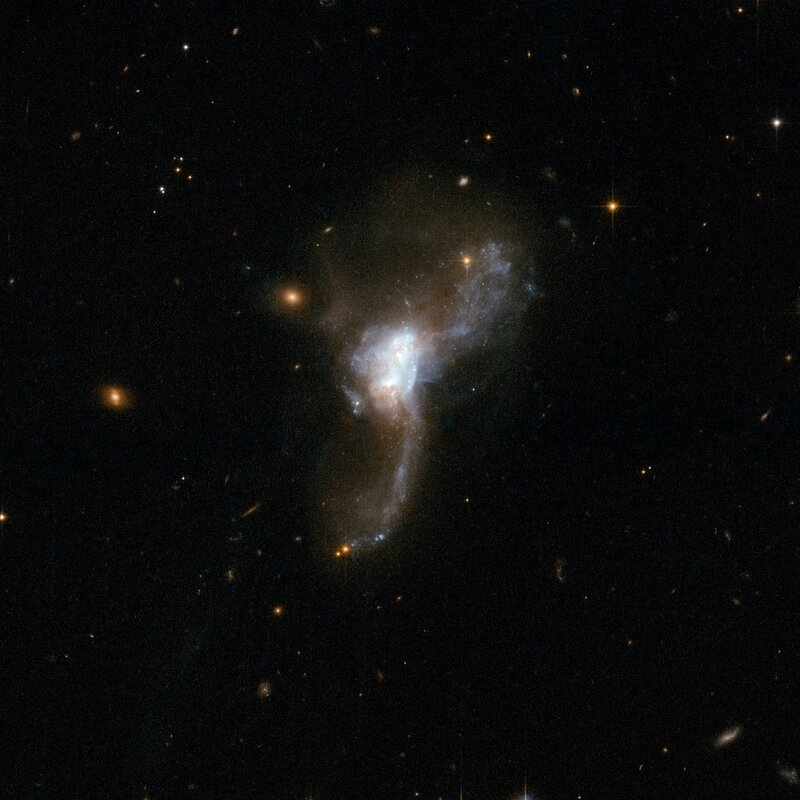 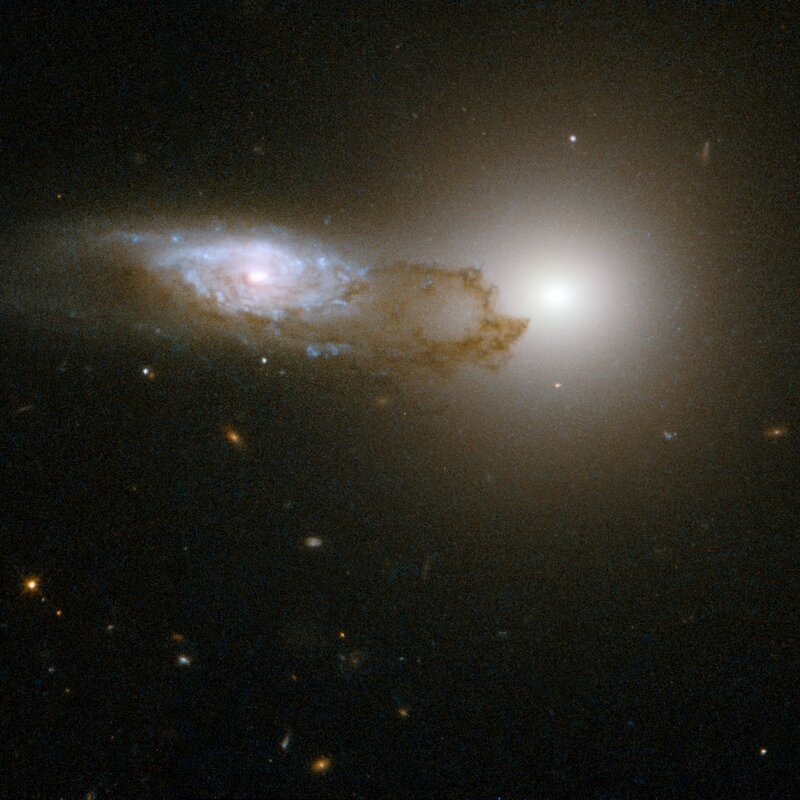 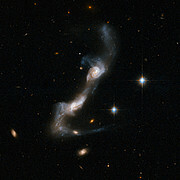 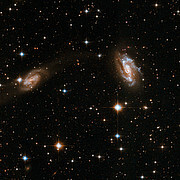 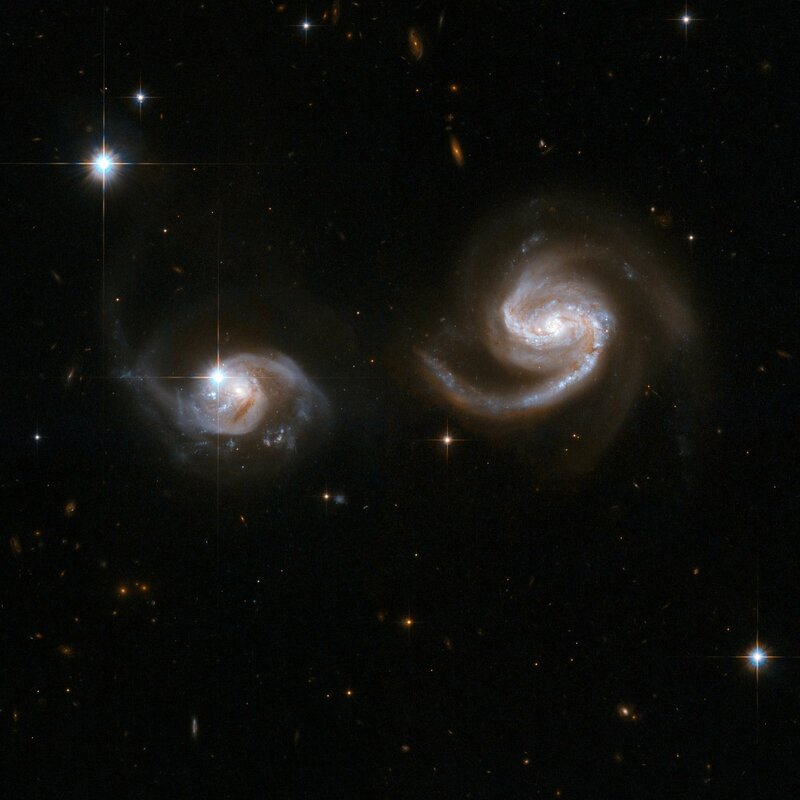 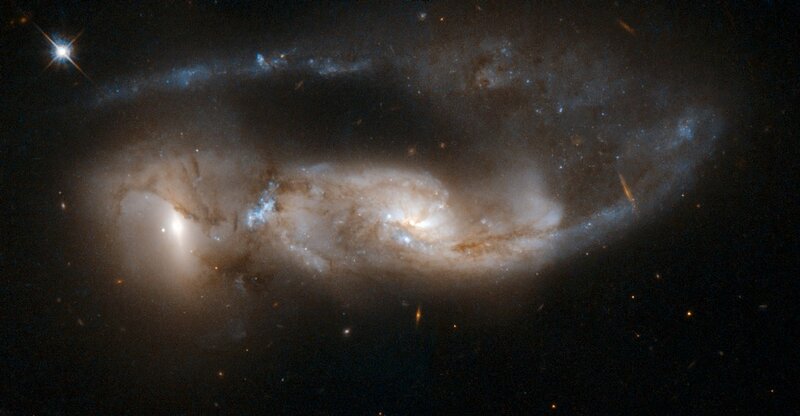 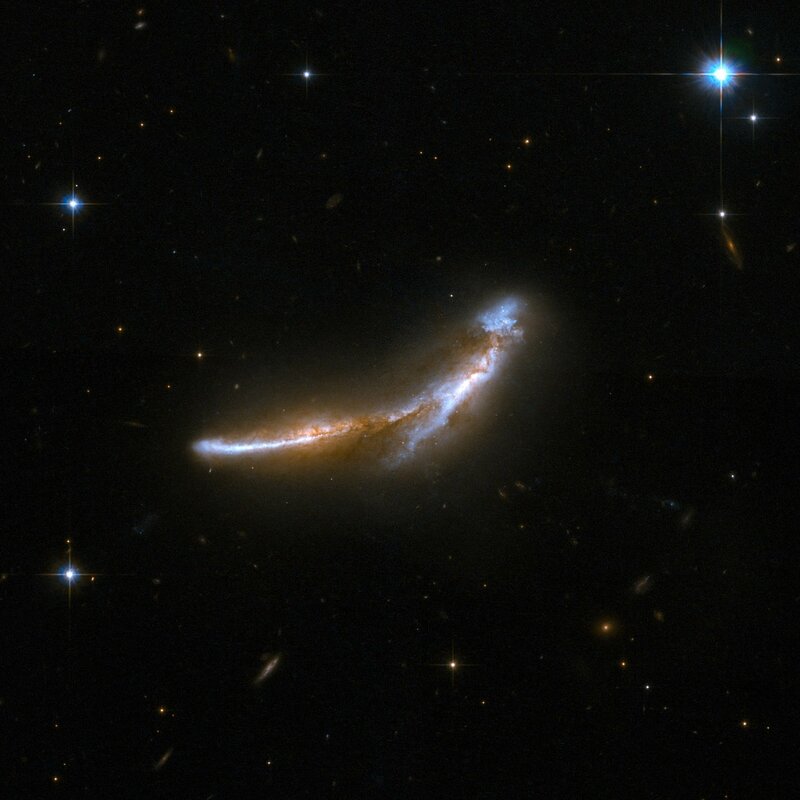 The two galaxies are currently rushing towards each other at approximately 500,000 kilometres per hour. 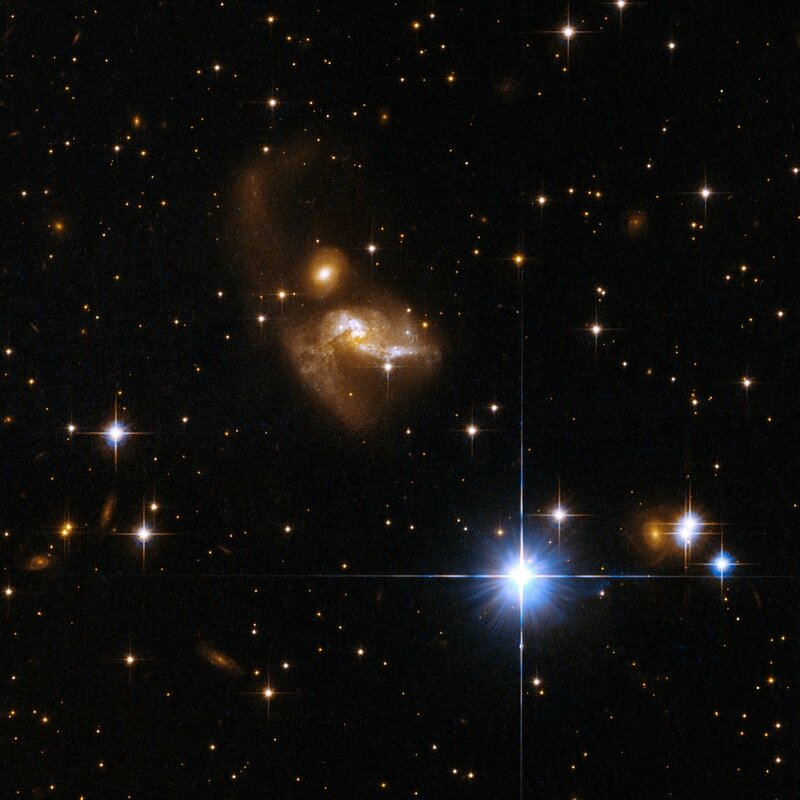 These objects emit up to several thousand billion times the luminosity of our Sun. 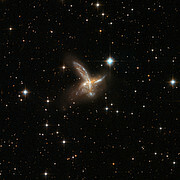 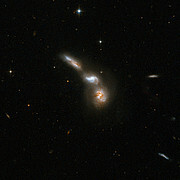 They are the most rapidly star-forming galaxies in today's Universe and are linked to the occurrence of quasars. 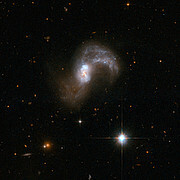 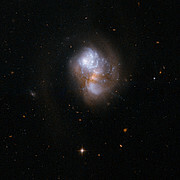 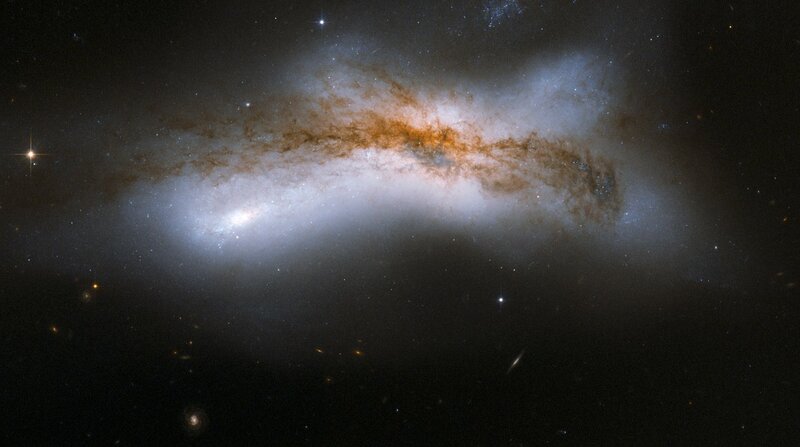 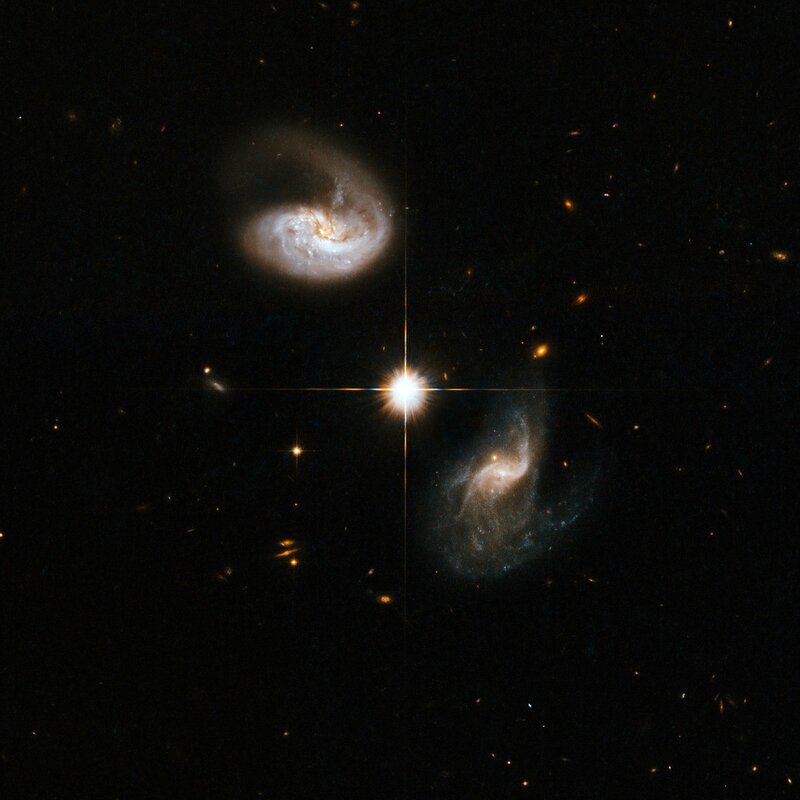 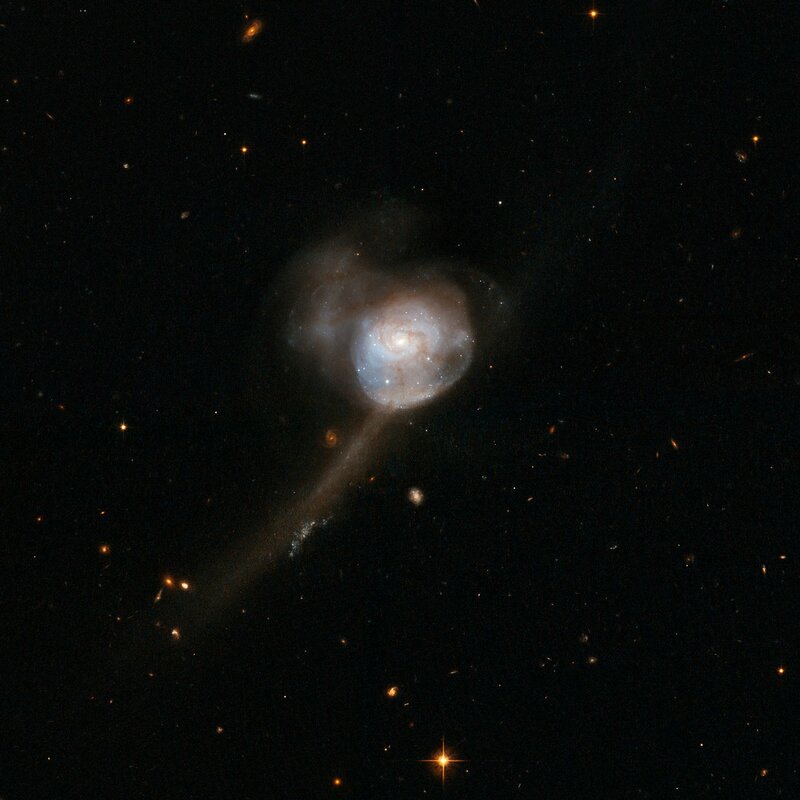 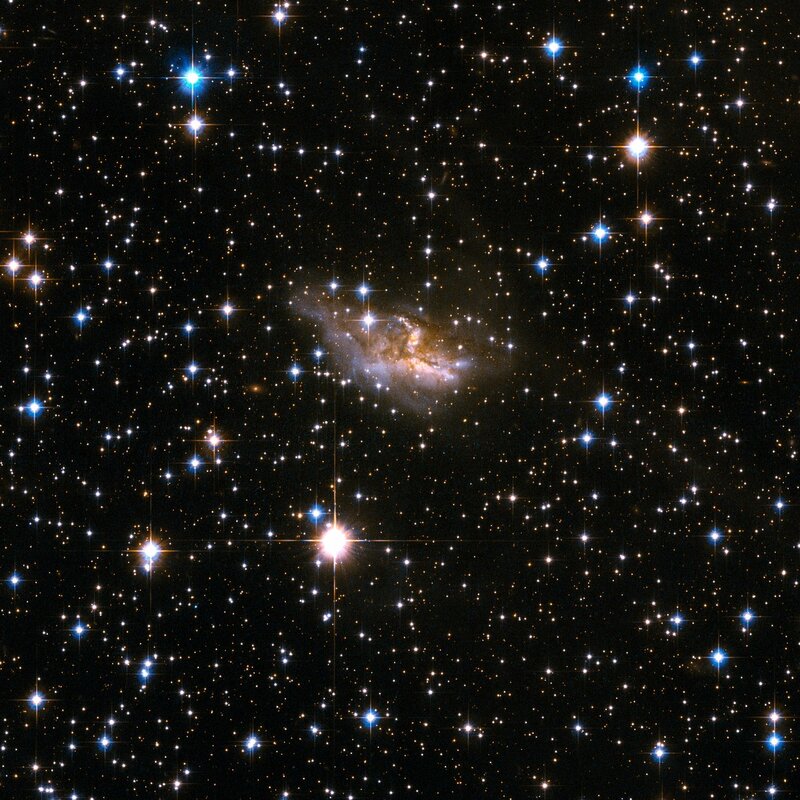 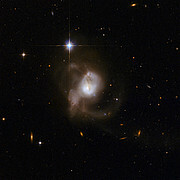 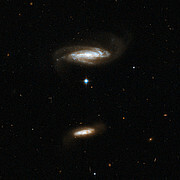 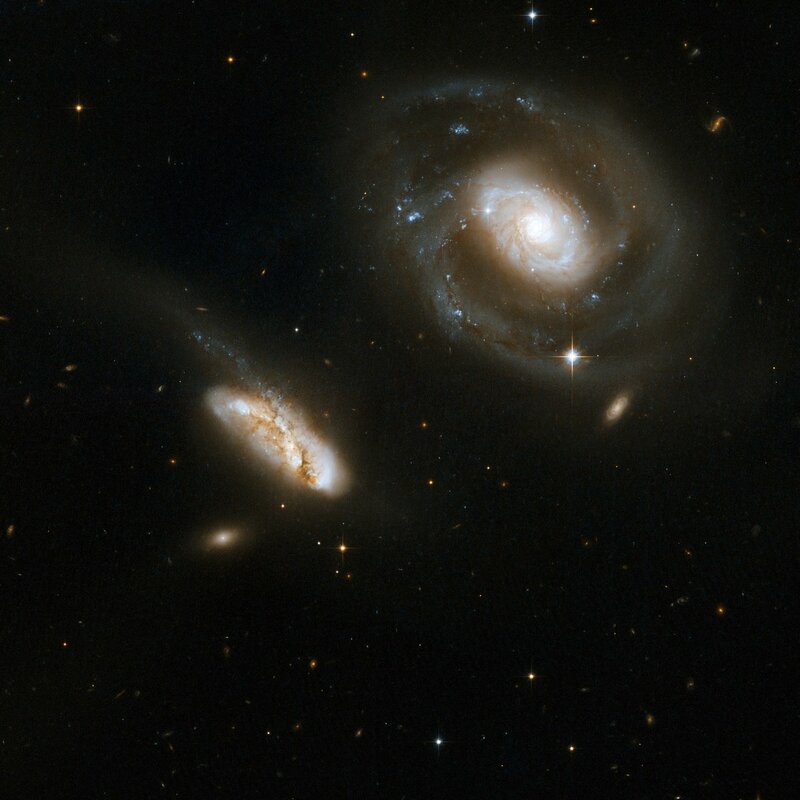 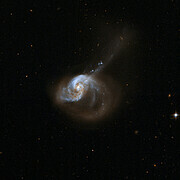 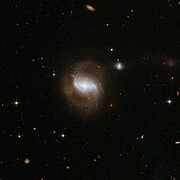 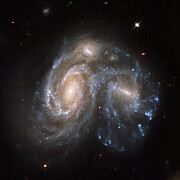 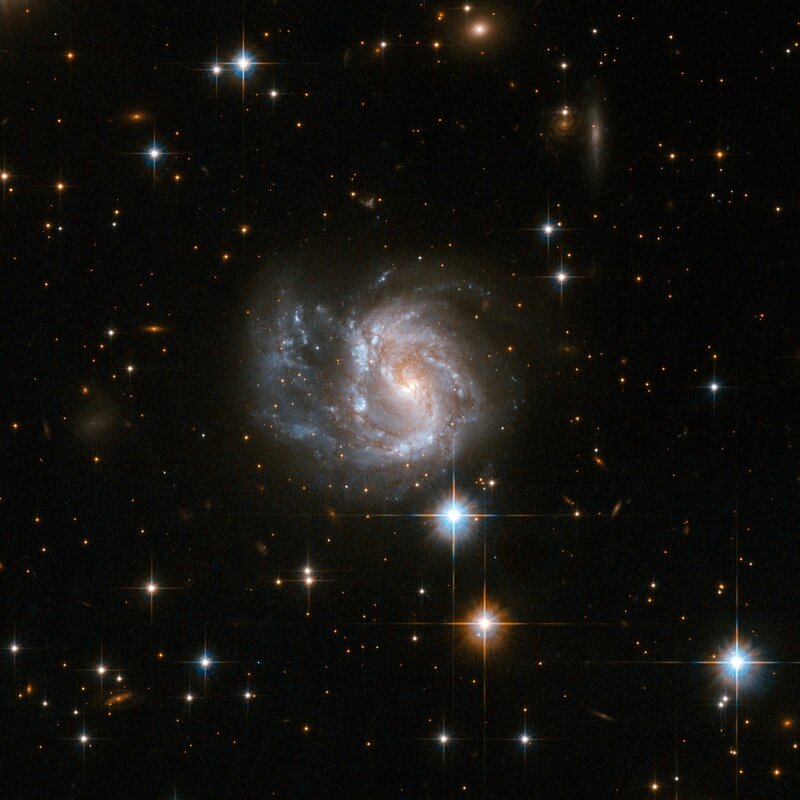 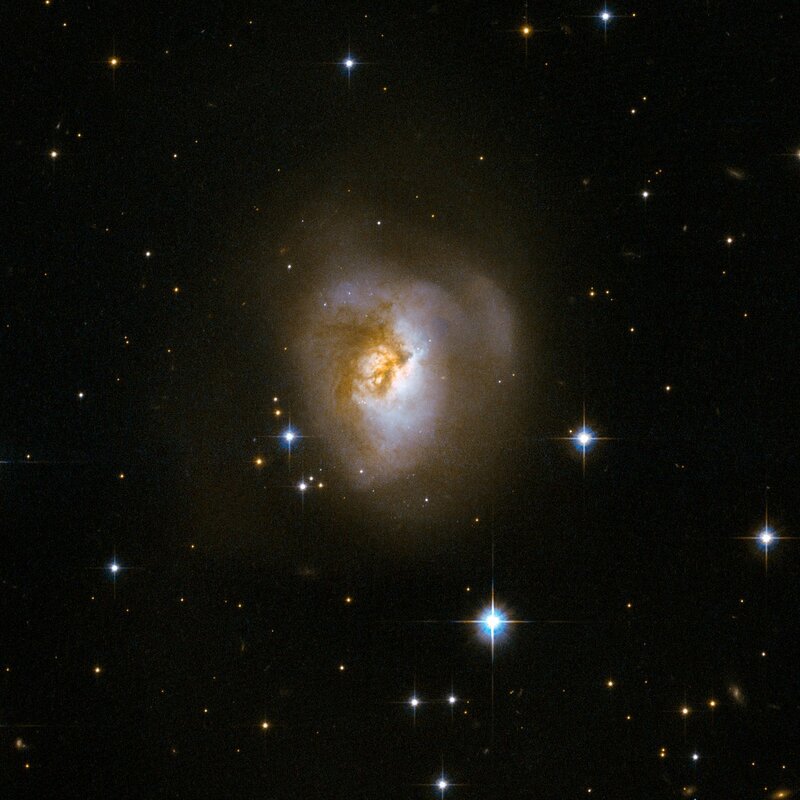 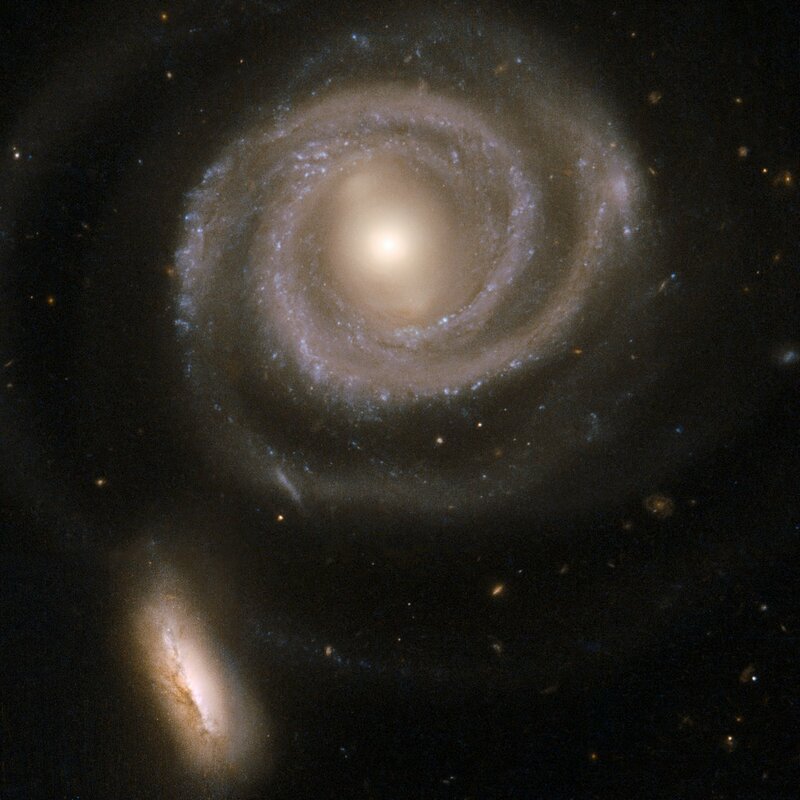 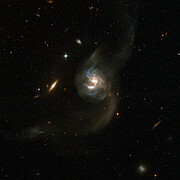 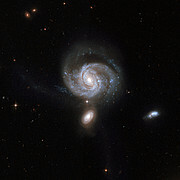 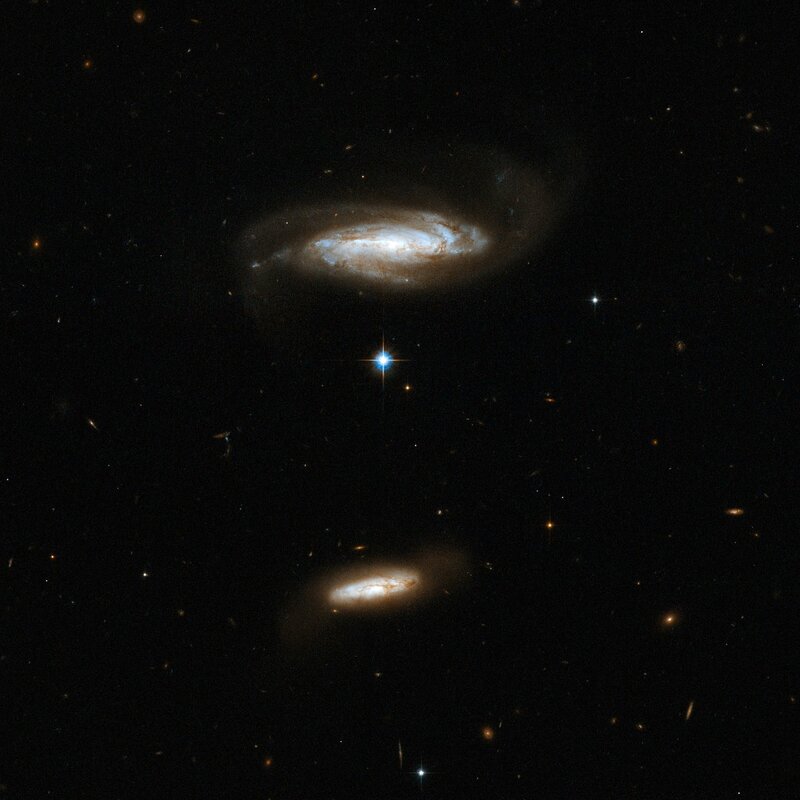 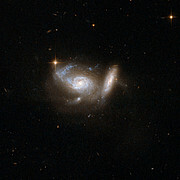 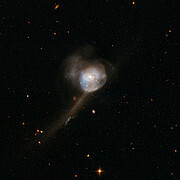 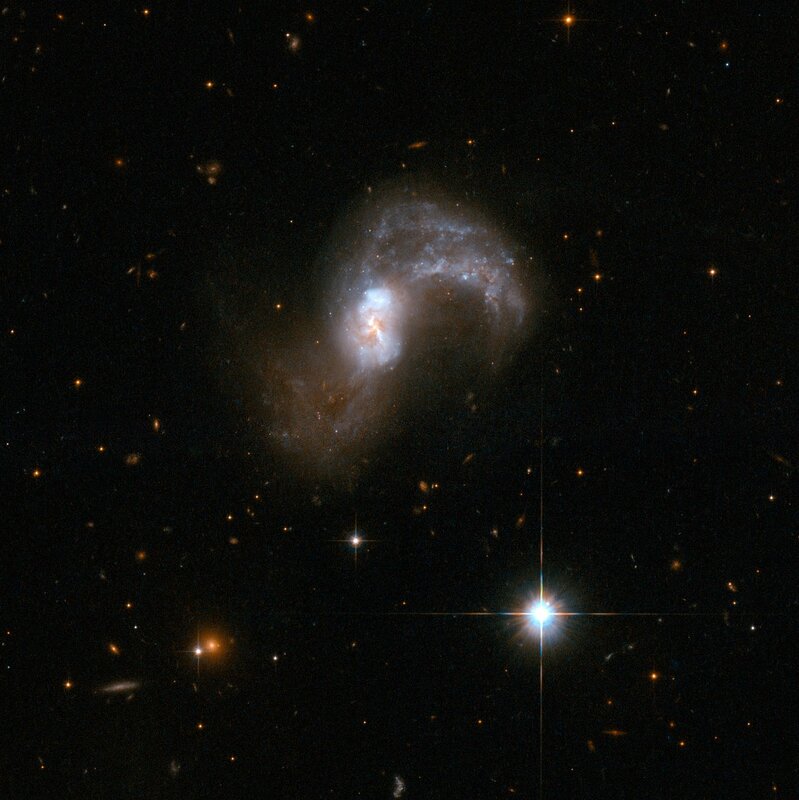 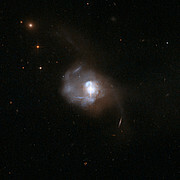 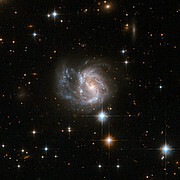 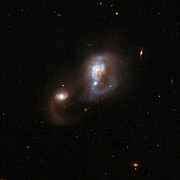 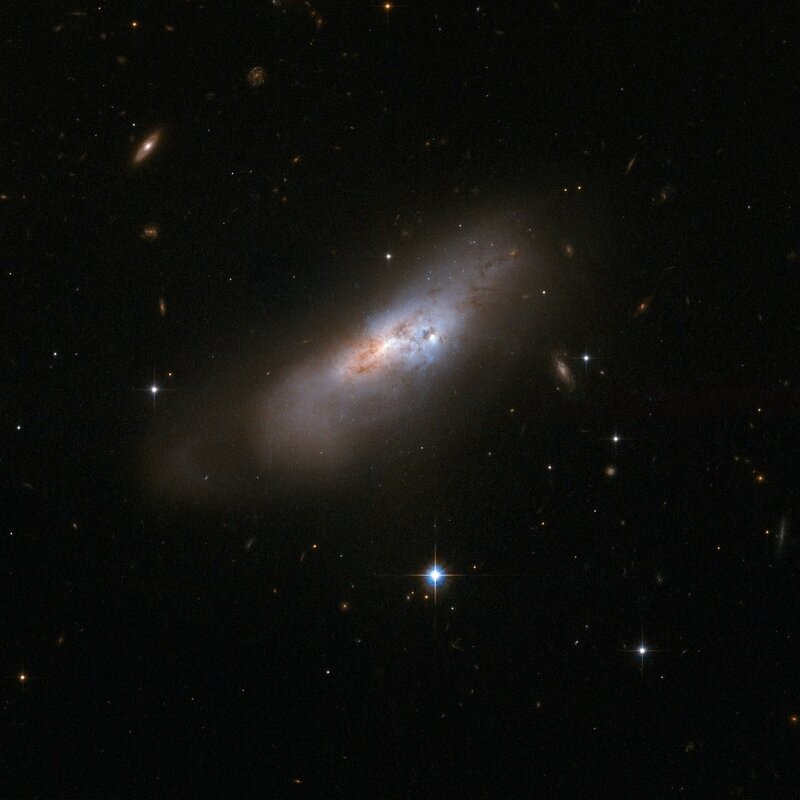 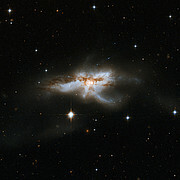 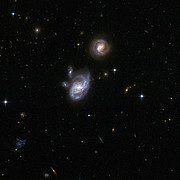 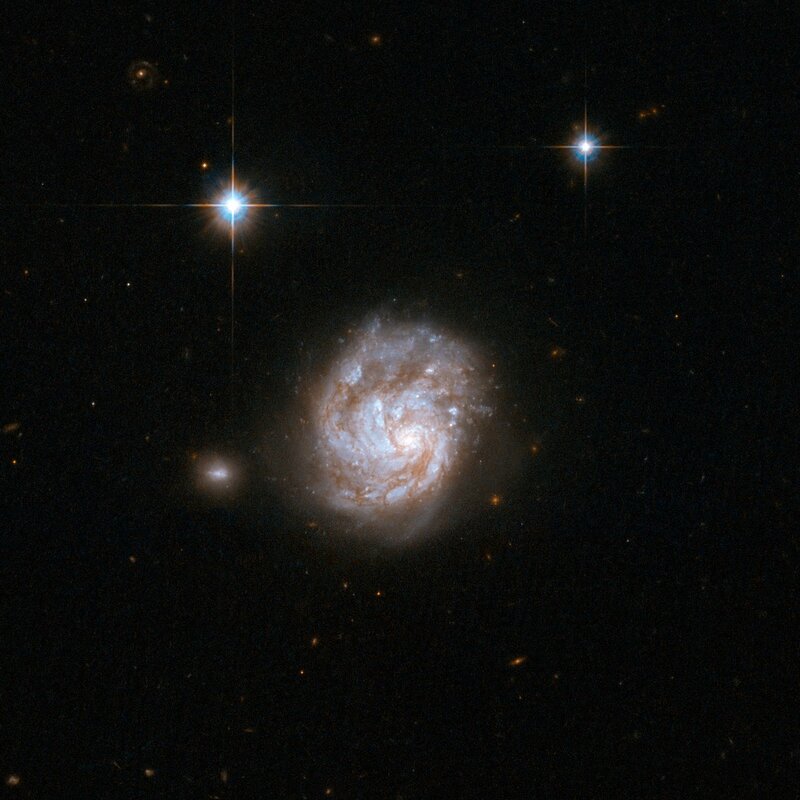 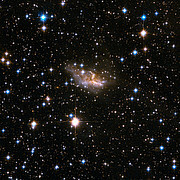 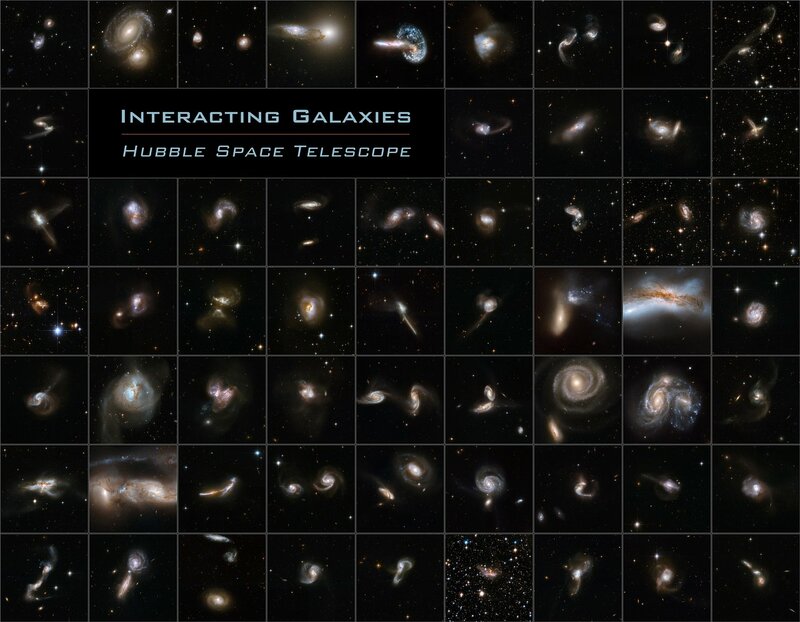 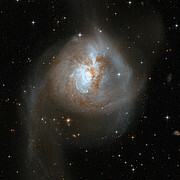 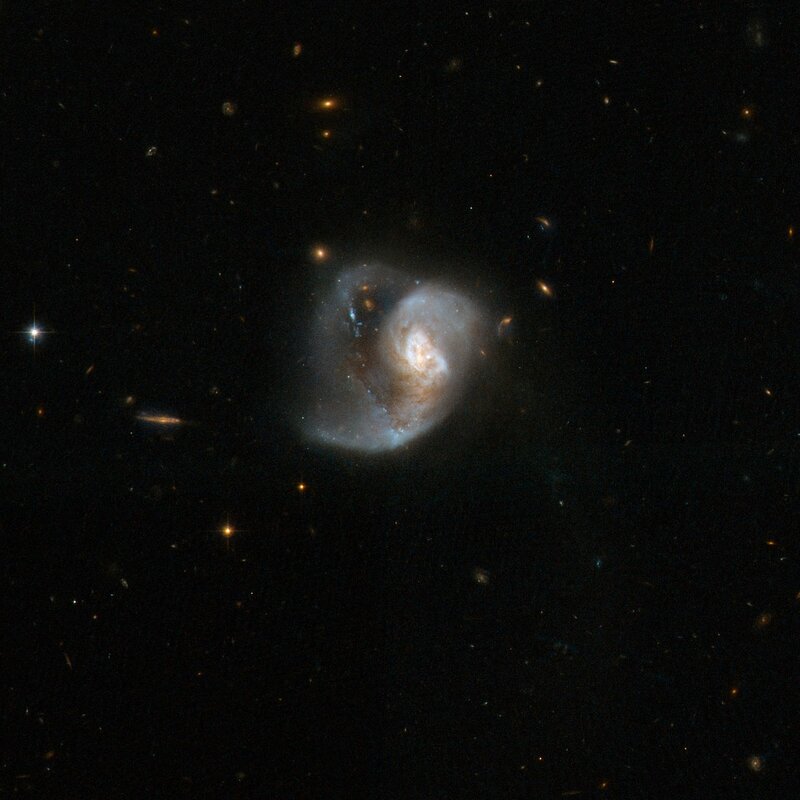 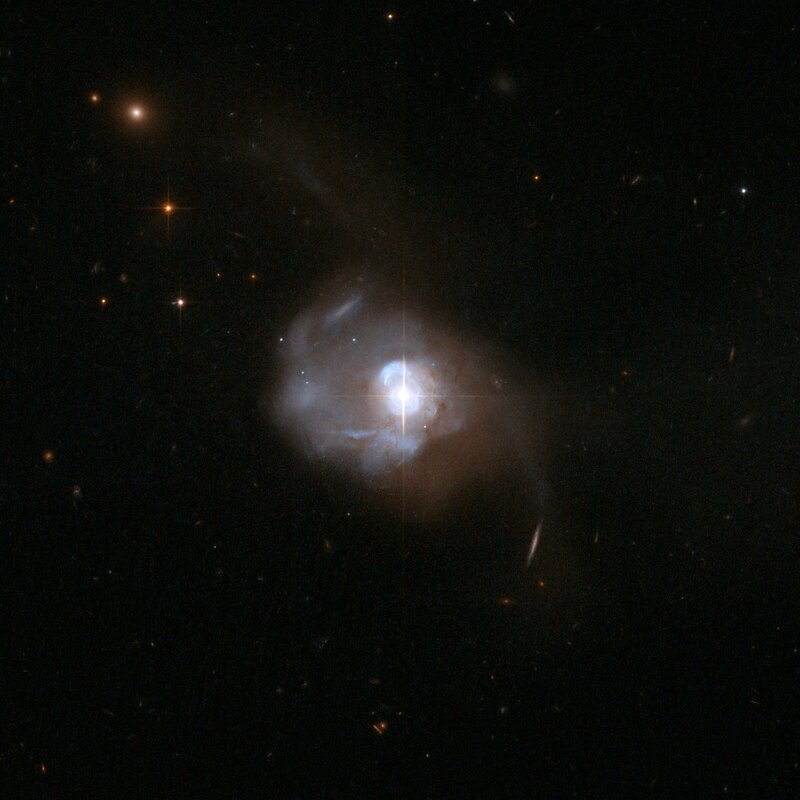 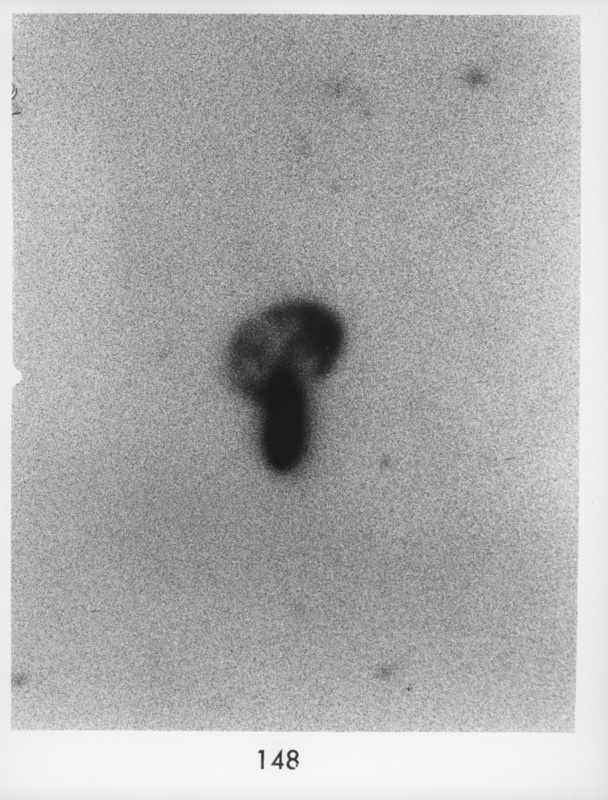 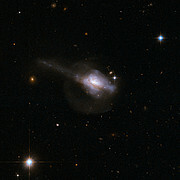 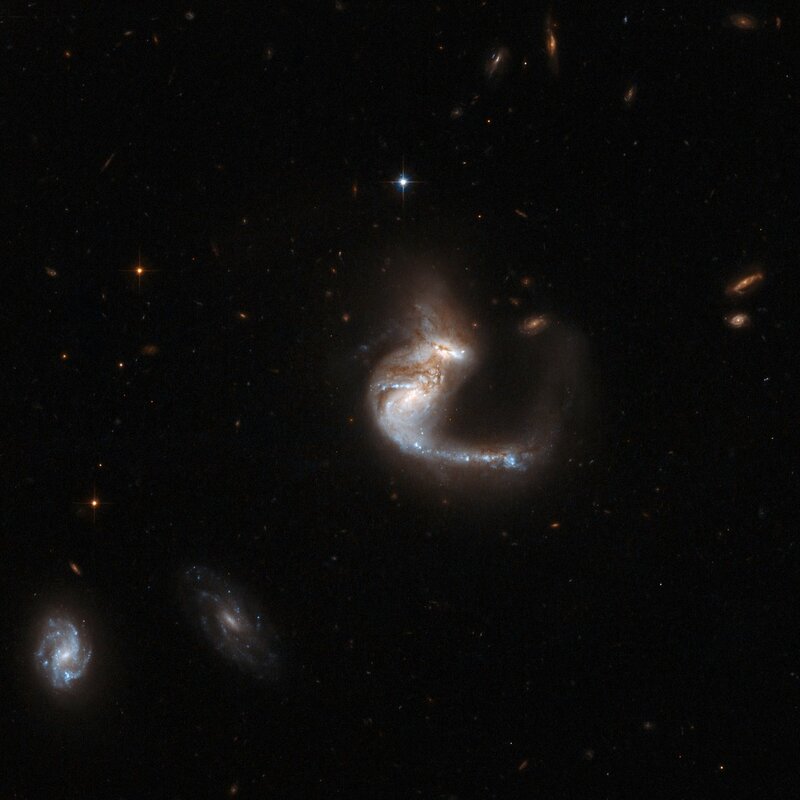 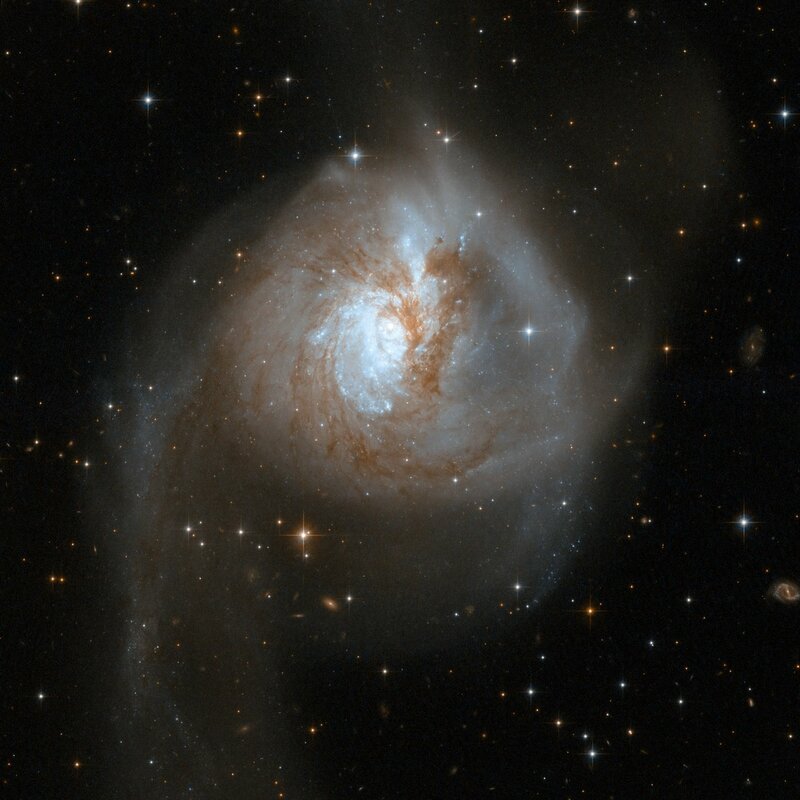 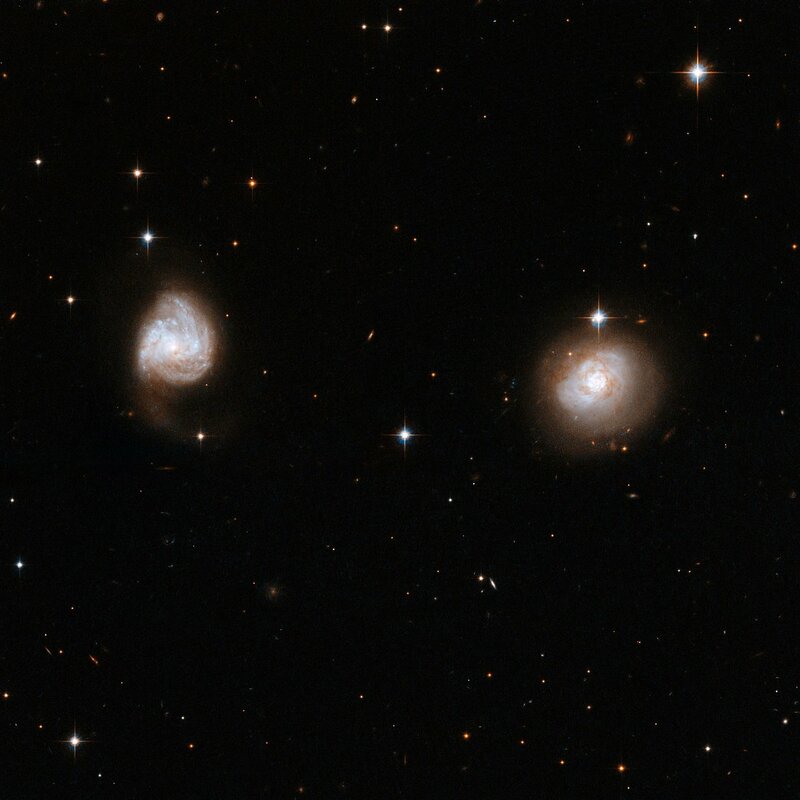 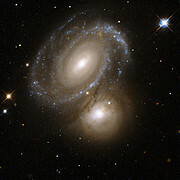 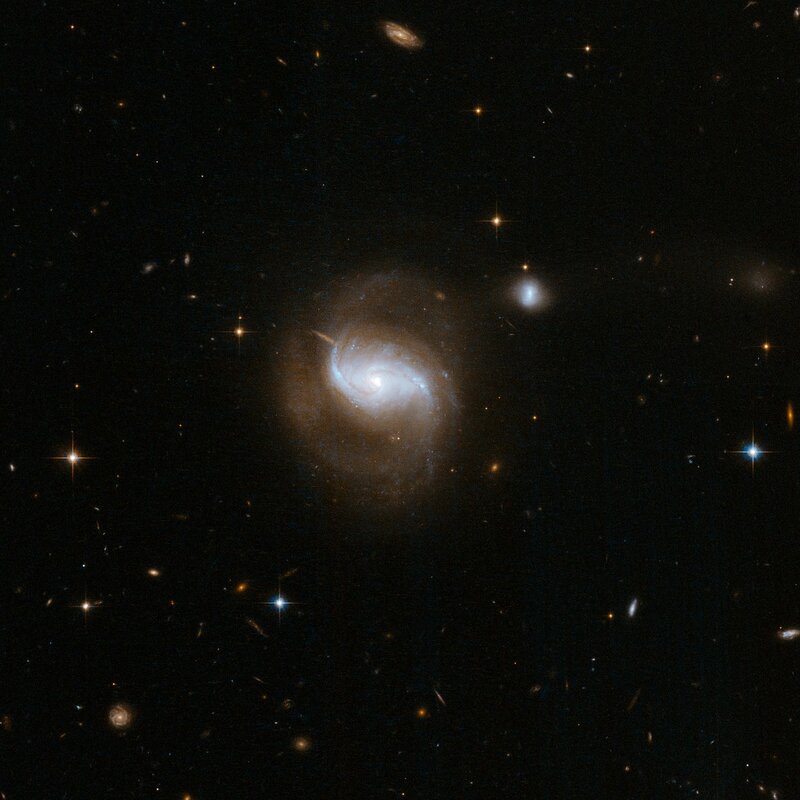 Unlike standard spiral galaxies like the Milky Way, which radiate from stars and hot gas distributed over their entire span of perhaps 100,000 light-years, the energy in luminous and ultraluminous infrared galaxies is primarily generated within their central portion, over an extent of 1000 to 10,000 light-years. 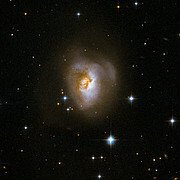 This energy emanates both from vigorous star formation processes, which can generate up to a few hundred solar masses of new stars per year (in comparison, the Milky Way generates a few solar masses of new stars per year), and from massive accreting black holes, a million to a billion times the mass of the Sun, in the central region.